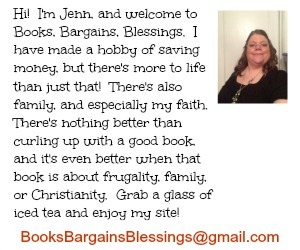 Books, Bargains, Blessings: "Don't Call It Fat Camp"
"Don't Call It Fat Camp"
In my journey to lose weight, I decided to sign up for the Retrofit Ministries "Faith and Fitness Week". In junior high someone called one of those ads in the back of Teen Magazine to have a brochure sent to me about a fat camp. I was nicknamed "Short, Fat, and Ugly" in junior high and I never requested the information, so I know it had to be a fellow classmate. Truth be told, I always wanted to go to a fat camp, so when I signed up for this, I kept thinking, "I'm headed to fat camp." Last night Austin Andrews called me to finalize my payment for the week. He was on Season 11 of Biggest Loser, so he totally understands what it's like to be the one made fun of in junior high. The moment I told him I posted on my Facebook status that I was headed to Fat Camp, he said, "Don't call it fat camp" and told me they were trying to get away from that image. Instead, we're going to learn things like nutrition, how to deal with issues that caused us to become overweight, and work with personal trainers to find exercise we enjoy doing. Instead of a last chance work out we'll be going on a last chance prayer walk. Sounds like I can do it right? Well, I know I can. Believe me, you can! 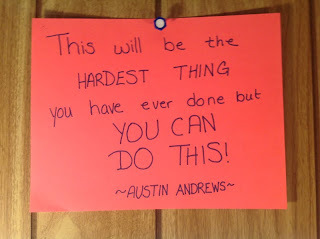 It will be the HARDEST THING you have ever done, but you can do this. 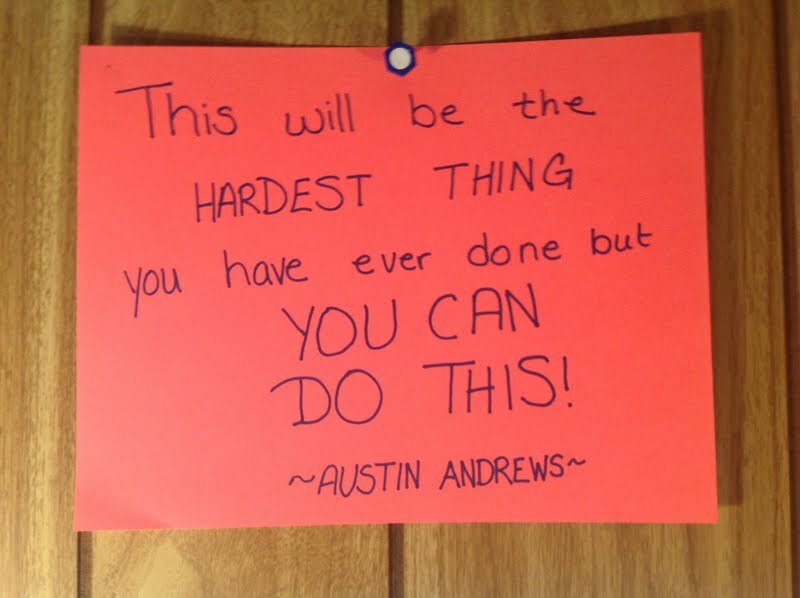 I wrote that down on a piece of paper and hung it on the wall of my bedroom. I saw it daily. Finally the day came where I hadn't lost anything, and I took the paper down and ripped it into pieces. Last year was a bad year for me, I was in the hospital for 9 days on IV antibiotics and then on oral antibiotics from February through December. I didn't feel like exercising or eating right. Who feels like exercise when you are on antibiotics? As for food, it's so much easier to stick a frozen pizza in the oven when you aren't feeling well than to chop up a salad. But I'm ready to do this. In fact, I am doing it! Check out my weight loss ticker from the last month! I also decided it was time to add something back to my wall. It has been months, so I decided it was time to make another. This time since I'm doing the hardest thing I've ever done, I'll look at it as encouragement instead of guilt because I'm not doing something I should because I'm doing this and I CAN DO THIS! You are an extremely strong woman ~ I KNOW you can do anything you set your mind on. Thanks Susan, I'll be posting all about it when I return. We'll be working out three hours a day! Yikes!